Background of 4 years’ experience Sale both in foreign banks and being a former Management Consultant for different industries and businesses have given me a chance to encounter different people in term of behaviour, motivational and expertise, learn from it, and above all successfully connect those element together to bring result and satisfaction for my clients. Currently focus on Banking and Financial sector recruitment at Navigos Search. I believe the knowledge acquired regarding Sale and Management Consulting would be beneficial to my future candidate and clients at Navigos Search. I’m offering exceptional services for both of clients and candidates with the intention to help both speaking the same language. Each talents with best capabilities will be chosen in order to provide outstanding services to help our client’s business grow in this ongoing competitive market. At the same time, candidates could also find the place they belong to and see a continuous grow in their career development, a win-win scenario is what I’m looking for and strive to achieve on daily basis. Functional Skills -	Good knowledge of corporate banking -	Understanding of internal and external rules and regulations. -	Good knowledge in all process of work -	Good command in English (speaking, listening, reading and writing) Core Competences -	Wide-range relationship and network with cusstomer in variety of industries. -	Communications and interpersonal skills -	Leadership and management skills -	Judgement and analytical skills -	Business sense Note: -	English is a must. -	Other foreign languages such as Chinese (Mandarin), Thai, Japanese and etc is a plus. -	Experience in banking industry and in credit fields. -	At least 5 year-experience at the role of Corporate Credit Marketing Manager at other bank. -	Salary and benefit (negotiable upon committed portfolio). * Requirements - At least 5 years banking experience in client facing roles and experience in cash management is preferred - University degree in Economics/ Finance & Banking/Foreign Trade - Specialist MNC payments/cash management industry expertise. - Commercial banking experience. - Sales/marketing and presentation skills. - Strong interpersonal skills and ability to liase effectively with personnel across functions. - Good command of Vietnamese & English (especially writing skill). - Ability to work under pressure. 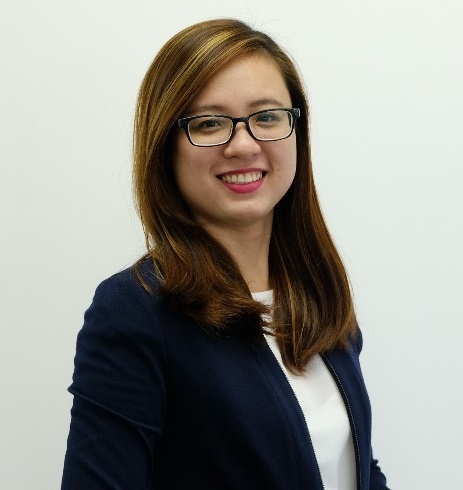 · Male/Female; · Fluent in English to be able to draft bi-lingual English / Vietnamese agreements when needed; · Bachelor’s Degree in Law; · Qualified banking/financial regulatory lawyer with 5 relevant experience from a major law firm; · Experience of drafting, reviewing and negotiating legal documents and agreements in a private practice environment; · Excellent legal drafting skills; · Attention to detail; and · Knowledge of other areas of law such as IP, Employment Law and/or Corporate Law will be a bonus. •	Bachelor/Master's Degree in Business Administration, Accountancy, Finance, Banking, Economics, or related fields •	Minimum 15 years experiences in banking industry especially operational area, audit and control area, and financial control area. •	Multi – Tasking capability, results oriented, displays consistent performance, positive thinker with good attitude, and interpersonal skills. •	Possess a dynamic personality with strong interpersonal, problem solving, effective communication skills, and excellent management & leader skills. •	Excellent written and verbal communication skills in English and Thai. • Bachelor Degree with 5-7 year experience or relevant. • Proven ability in team leadership and management. • Proven ability in Retail sales. • Proven ability in relationship management in the Retail sector. • ACIB or equivalent professional qualification preferred. • Excellent interpersonal skills, with a particular emphasis upon inspiring, influencing and negotiating. • Coaching techniques to fulfill customer needs, best practice and sales management on a team and one to one basis. • Planning and organising skills. • Analytical skills. • Problem solving skills. • Attain appropriate professional and regulatory qualifications as required by market. • Attain any internal standards as required by Country.